Vitamin and mineral deficiencies tend to be a real problem for people with inflammatory bowel disease (IBD). 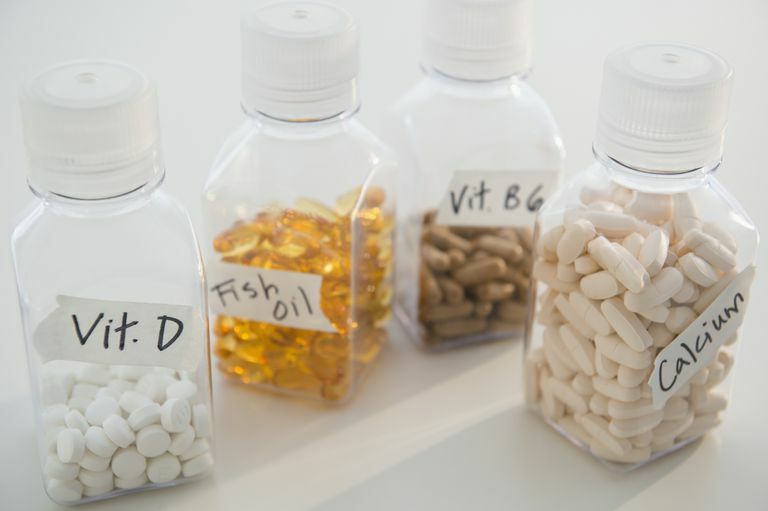 Several factors contribute to these vitamin and mineral deficiencies, including inflammation, diet, and the treatment for IBD itself. In many cases, vitamins can be gotten either through foods or through supplements. A gastroenterologist is the best source of information on what vitamins and minerals need to be supplemented in people with Crohn's disease and ulcerative colitis. Inflammation. The inflammation in the small and/or the large intestine that's common in IBD can inhibit the absorption of vitamins and minerals from food. The use of vitamins and minerals by the body is complex, with many nutrients requiring the presence of other vitamins to facilitate their uptake and use by the body. If the body is not receiving even one vitamin it needs, the end result could be a chain reaction affecting many other vitamins and minerals. Diet. Many people with IBD are often on restricted diets either because certain foods tend to worsen symptoms, they are recovering from surgery or a flare-up, or nausea and vomiting make it difficult to eat a balanced diet. A restricted diet can limit the vitamins and minerals available to the body and further contribute to deficiencies. Treatments. The last factor is a result of treatment programs that often include several different types of medications. Certain medications can inhibit the absorption of nutrients, or cause them to be lost from the body. People with IBD may lack calcium because they are not absorbing enough from food and because drugs such as prednisone may actually prevent their bodies from absorbing calcium. Calcium is important for the formation of bone, and a deficiency could lead to osteoporosis. A lack of iron can occur in people with IBD because of malabsorption and because of chronic bleeding in the intestinal tract. Iron is an important part of hemoglobin, and hemoglobin is the part of the blood that supplies the body with oxygen. Too little iron in the body could lead to iron-deficiency anemia. A vitamin A deficiency is not common, but it can occur in people with IBD, especially those with Crohn's disease, who are not absorbing enough vitamin A in their small intestine. Vitamin A helps the body to fight infection and is important for good vision and several other body functions. Vitamin A supplements can be toxic, so it is important to consult with a physician before taking a vitamin A supplement. Vitamin D is found in some foods but is also synthesized by the body when skin is exposed to sunlight. People with IBD may lack vitamin D because of poor absorption, from not receiving enough exposure to sunlight, and from not having enough calcium (which the body needs to effectively use vitamin D). A lack of vitamin D can contribute to bone density loss. People with IBD may be deficient in this vitamin because of antibiotic use, which diminishes absorption. Also, they may not receive enough vitamin K from food because vitamin K is found in green, leafy vegetables, which some with IBD may avoid eating. A vitamin K deficiency, when coupled with a lack of vitamin D, could contribute to bone loss.